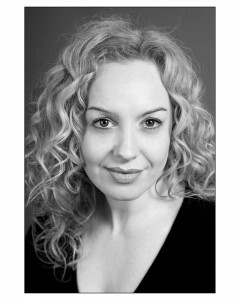 Actress and performer Vivienne Carlyle has recently taken over from Amy Robbins in the leading role of Mrs Johnstone in the West End stage version of Blood Brothers the Musical. The classic musical, one of the lonest-running showing in London and a firm-favourite with lovers of British musical theatre, has seen lots of high-profile and celebrated actresses fill in the coveted role of the working class mother of twins from Liverpool. Past performers in the role include Atomic Kitten star Natasha Hamilton, Nolan sister Maureen and Sporty Spice Melanie C. As from 31st January 2012, the Phoenix Theatre added another great performer to its list of leading ladies in the role. Vivienne Carlyle may be familiar to fans of the musical. She is no stranger to the tragic tale of twin brothers, separated at birth and brought up in different worlds, who find each other later in life – with dramatic consequences – as she has just finished playing Mrs Lyons. The role of Mrs Lyons is demanding in itself, although not as ‘main’ a role as Mrs Johnstone. Mrs Lyons has to cope with the fact that she herself cannot have children, to instead takes in one of the twins to raise as her own and lessen the cost for the poorer and biological mother. Mrs Johnstone however, is the principal character and sings the heartfelt closing song ‘Tell Me It’s Not True’. Vivienne herself has said that she is delighted to be cast in the role. Born in Glasgow, Vivienne has many other credits to her name other than Blood Brothers. She has performed in productions such as Joseph and the Amazing Technicolour Dreamcoat, Who’s Tommy and The Drowsy Chaperone, and has also played The Songbird in Cirque du Soleil’s Saltimbanco in South America. As well as theatre work she has also provided backing vocals for stars such as Dina Carroll, Barry Manilow and Michael Bolton. Be sure to catch Vivienne as Mrs Johnstone in Blood Brothers! Vivienne Carlyle played Mrs J 5/4/12, there’s no denying her voice is powerful, infact the best singing voice on stage, however, her portrayal of Mrs J is poor at best. She has no empathy or passion with the character and while she says the words, she fails to act them. Isn’t Mrs J’s accent suppose to be broad Liverpudlian, her demeanour dowdy and put upon? Ms Carlyle shows/acts none of these traits that are so pivotal in the conversations with Mrs L.
I would like to say something positive about Marti Pellow but I can’t. Philip Stewart’s Narrator is a hard act to follow and unfortunately Marti just couldn’t get close due to his bad timing, off key performance and bad acting. Stephen and Simon are outstanding. The ensemble are wonderful. utter rubbish, this talent was supreme! saw blood brothers on 5/5/12 and she was absolutely amazing!!! the show was soooo good and sad! I have seen Blood Brothers over 40 times and LOVE it! I first seen Vivienne Carlyle a few years ago as Mrs J and I have to say she has been the BEST I have seen. Her voice is so powerful and her emotion of the part outstanding!!! Everyone MUST see Vivienne play Mrs J. Blood Brothers just gets better and better. Truly superb portrayal of Mrs J! A true superstar. Fantastic actress as singer. Incredible, her performances are always stunning! Just saw the show yesterday, it was try amazing, so funny, so moving, so brilliant. I took my daughter to see it as she initially saw it as part of a school party, it had such an impact she wanted to return. She was not disappointed. Mrs j performance was brilliant, she brought the part to life. She was outstanding. The twins performance and narator on stage excellent. Thank you to all the cast. I saw the show 30th June 2012. My wife and I thought Vivienne Carlyle was out of this world, acting very good and singing outstanding. We felt the same for the rest of the cast as it all gelled superbly. It was funny, entertaining and moving and is the best show we have ever been to see. Amazing, amazing, amazing… All actors/actresses superb… I’m no expert but cannot fault the show in any way at all. Wow, what voices Mrs J (Vivienne) and the narrator have… Would and possibly will be going back to watch the show again… Thank you all!!! Just saw this last night. I am from the US, and didn’t know what to expect from Blood Brothers, which is apparently well known in the UK. We loved it. It is thoroughly entertaining and very well done by all. But in my opinion, Vivienne’s Mrs. J stole the show. Hers was the best voice on the stage! Saw the show on Saturday night. Vivienne Carlyle was absolutely outstanding, underpinned by a superb group of performers who never missed a beat. I just could not have enjoyed a show any more than I did this one. Thank you for a memorable evening. Saw the show on 22nd September 2012, totally blown away by Vivienne Carlyle and her amazing performance, tears in my eyes, absolutely outstanding performance! The whole cast were just excellent too. Saw the show yesterday and OMG, was absolutely amazing. Viviennes voice and acting was phenomenal, very emotional. This is a must see if you’re in London. Really has affected the way I look at theatre productions now. Such an amazing performance by the entire cast. You can tell a lot of work has been put on for the play. Can’t wait too see the production again in Cardiff. Just amazing!!! Great show as usual, soooooooooo sad it’s ending. I am so glad I saw this before the show ended, absolutely superb! I am 15 and musical theatre is my passion for my future and seeing this show has made me want it more than ever! Vivienne’s voice was unbelievable and I loved the whole production 🙂 I sobbed my heart out for the majority of the second half, not just casual tears, I was sobbing like I couldn’t breathe and nothing has ever got me like that before! Superb, i’m only sad i wont be able to see it again!